An “on the beach” program designed for Students aged 8—14 years. Surf Fun Safe Day Programs are held during Terms one and four, of the school year. Bookings are essential, we are now taking bookings for Term 1 & Term 4 of 2019. 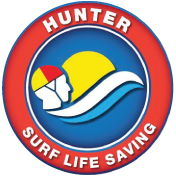 Each session will last for 4 hours and will be conducted at Stockton or in seasonal conditions at Newcastle Baths. The day is all about a fun experience for the students so that they learn beach education.